There is a Sarsaparilla for sale in the different towns, called old Dr. Jacob Townsend's Sarsaparilla. It is advertised as the original, This is a notorious falsehood. Dr. Townsend has expended over $200,000 the last eight years in advertising his Sarsaparilla, which has obtained a character and reputation throughout the United States and a greater part of the world—the sale being enormous. This excited the cupidity of certain unprincipled men, and an old man who has been engaged in peddling cheap publications for a number of years. This man's name is Jacob Townsend. He applied to a number of men to get employment, or to sell the use of his name to put up Dr. Townsend's Sarsaparilla, stating the large sales and sums we had expended in advertising as an inducement to embark in the business. Among others he applied to Charles Watrous, Esq. Editor of the Jamaica Farmer, who scorned such a proposition. Mr. H. Q. ANDREWS, formerly one of the proprietors of McALISTER'S Ointment, RALPH POMEROY, formerly Cashier and Financier of the broken Khin Plaster Bank, at Bellville, New Jersey, JOHN SKILLMAN, and WM. THOMPSON, under the name of THOMPSON, SKILLMAN & Co., have employed this old man, and agreed, as we understand, to pay him seven dollars per week, for the use of his name. These men have been libeling and insulting us in all possible forms, in hopes we would notice them, and thus bring them and their decoration into market. Let the public decide upon the course of these flattest and Honorable men. They send their stuff off to our agents, and charge them but $6,50 per dozen for it, expecting the agents would sell it, as they would make more money by selling theirs and deceiving the public; but very few have accepted their base proposal—a few have, and should be watched if they attempt to sell it as the genuine. We think Merchants or Druggists who would lend themselves to palm this stuff off on the public as the genuine and original Dr. Townsend's Sarsaparilla, would be base enough to commit any fraud. None is the original and genuine unless signed by S. P. Townsend. SPRING AND SUMMER MEDICINES ever known; it not only purifies the whole system, and strengthens the person, but it creates new, pure, and rich blood: a power possessed by no other medicine. And in this lies the grand secret of its wonderful success. It has performed within the last five years, more than 100,000 cures of severe cases of disease; at least 15,000 were considered incurable. It has saved the lives of more than o,000 children during the two past seasons. 10,000 OASES OF GENERAL DEBILITY AND WANT OF NERVOUS ENERGY. Dr. Townsend's Sarsaparilla invigorates the whole system permanently. Those who have lost their muscular energy by the effects of medicine, or indiscretion committed in youth, or the excessive indulgence of the passions, and brought on a general physical prostration of the nervous system, lassitude, want of ambition, fainting sensations, premature decay and decline, hastening towards that fatal disease, Consumption, can be entirely restored by this pleasant remedy. CONSUMPTION CURED. Cleanse and Strengthen. Consumption can be cured. Bronchitis, Consumption, Liver Complaint, Colds, Catarrh, Coughs, Asthma, Spitting of Blood, Soreness in the Chest, Hectic Flush, Night Sweats, Difficult or Profuse Expectoration, Pain in the Side, &c., have been and can be cured. SPITTING BLOOD. New York, April 28, 1847. WM. RUSSELL, 65 Catherine st.
Blackwell's It/and, Sept. 14, 1847. Dr. Townsend—Dear Sir: I have a little girl seven years of age, who has been several years afflicted with Fits; we tried almost everything for her, but without success; at last, although we could find no recommendation in our circulars for cases like hers, we thought, as she was in very delicate health, we would give her some of your Sarsaparilla, and are very glad we did, for it not only restored her strength, but she has had no return of the Fits, to our great pleasure and surprise, and is fast becoming rugged and hearty. Yours, respectfully, JOHN BUTLER, Jr. FEMALE MEDICINE. Dr. Townsend's Sarsaparilla is a sovereign and speedy cure for all female complaints, and for the general prostration of the system. Nothing can be more surprising than its invigorating effects on the human frame. Persons all weakness and lassitude, from taking it, at once become robust and full of energy under its influence. 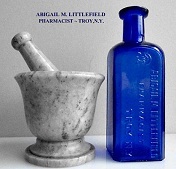 We can assure the afflicted that hundreds have been cured after using a few bottles of this invaluable medicine. BEAUTY AND HEALTH. Cosmetics, Chalk, and a variety of preparations generally in use, when applied to the face, very soon spoil it of its beauty. They close the pores of the skin, and check the circulation, which, when nature is not thwarted by disease or powders, or the skin inflamed by the alkalies used in soaps, beautifies its own production in the "human face divine," as well as in the garden of rich and delicately tinted and variegated flowers. A free, active, and healthy circulation of the fluids, or the coursing of the pure rich blood to the extremities, is that which paints the countenance in the most exquisite beauty. It is that which imparts the indescribable shades and Sashes of loveliness that all admire, but none can describe. This beauty is the offspring of nature—not of powder or soap. If there is not a free and healthy circulation, there is no beauty. If the lady is fair as driven snow, if she paint, and use cosmetics, and the blood is thick, cold, and impure, she is not beautiful. If she be brown or yellow, and there is pure and active blood, it gives a rich bloom to the cheeks, and a brilliancy to the eyes that is fascinating. This is why the Southern, and especially the Spanish, ladies are so much admired. 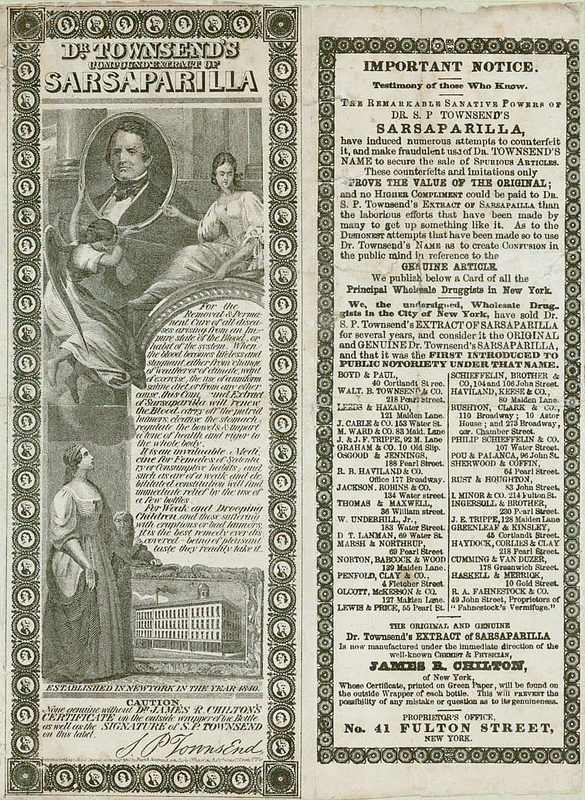 Ladies in the North who take but little exercise, or are confined in close rooms, or have spoiled their complexion by the application of deleterious mixtures, if they wish to regain elasticity of step, buoyant spirits, sparkling eyes and beautiful complexions, they should use Dr. Townsend's Sarsaparilla. Thousands who have tried it, are more than satisfied, are delighted. Ladies of every station crowd our office daily. Those that imitate Dr. Townsend's Sarsaparilla have invariably called their stuff a great Remedy far Females, &c., &c., and have copied our bills and circulars which relate to the complaints of women, word for word—other men who put up medicine have, since the great success of Dr. Townsend's Sarsaparilla in complaints incident to females, recommended theirs, although previously they did not. A number of these Mixtures, Pills, &c., are injurious to females, as they aggravate disease, and undermine the constitution. This certificate conclusively proves that this Sarsaparilla has perfect control over the most obstinate diseases of the blood. Three persons cured in one house is unprecedented. ISAAC W. CRAIN, 106 Wooster st. OPINIONS OP PHYSICIANS. Dr. Townsend is almost daily receiving orders from physicians in different parts of the Union. This is to certify that we, the undersigned, Physicians of the city of Albany, have, in numerous cases, prescribed Dr. Townsend's Sarsaparilla, and believe it to be one of the most valuable preparations in the market. II. P. PULING, M. D.
J. WILSON, M. D. R B. BRIGGS, M. D. April 1,1847. P. E. ELMENDORF, M. D.
Dr. Townsend: Sir—Some time since, you requested my opinion of the virtues of your Compound Syrup of Sarsaparilla. I am now prepared to give it. I have used it it) my practice and prescribed it for the last few months, and must give it my decided preference over anything of the kind with which I am acquainted, both as to its medicinal virtues, and reasonable price at which you sell it. In scrofulous affections, cutaneous eruptions generally, dyspepsia, indigestion, costive habits, and liver complaints, I am much pleased with its effects. In these complaints, or any other where Sarsaparilla is indicated, I can with confidence recommend it to the patronage of the profession as a valuable auxiliary for removing disease in some of its most troublesome forms, and to all as a safe and valuable medicine. Dr. S. P. Townsend have received a great number of certificates from Clergymen, as well as thousands of others, fully proving that his is the most valuable medicine of the ajje. The following from the pastor of the Bethel Ship was received this week: New York, Sept. 29, 1848. No. 4 Carlisle St., N. Y. O. G. HEDSTROM. The following testimonial is from Mr. Van Houton, formerly M. C. from Rockland Co., N. Y.— Charleitoum, Rockland Co., April 1, 1818. Dr. Townsend: Dear Sir, — I have been very seriously afflicted for a number of years, with a tickling in the ears, drumming and dizziness in the head, and shooting pains in the limbs, and debility. I purchased a bottle of your Sarsaparilla, and thought it helped me. 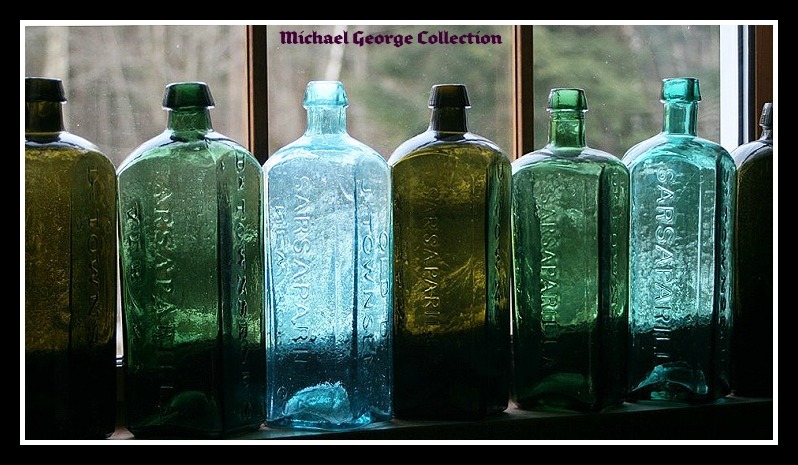 Then I procured a half dozen bottles, and before I had used it up I was entirely cured, and think it an excellent medicine, and well worthy the attention of those that are afflicted with debility and nervousness. Look out for Imitations and Counterfeits. None are genuine unless they are signed by S. P. Townsend, and are put up in wrappers printed with a splendid Steel Flute engraved Label. Here is proof conclusive that Dr. S. P. Townsend's Sarsaparilla is the original. The following is from one of the most respectable and influential Papers in the State. FROM THE ALBANY EVENING ATLAS. Dr. S. P, Townsend's Sarsaparilla. 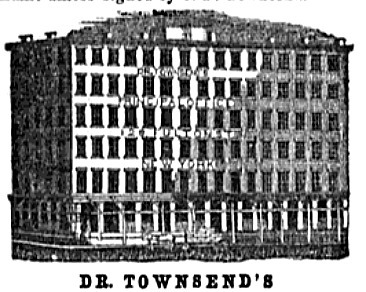 There probably has never been so popular a remedy, or patent medicine, as Dr. S. P. Townsend's Sarsaparilla, which was originally, and continues to be manufactured in this city, at first by the Doctor himself, and afterwards for several year* and to the present time, by Clapp & Townsend, the present proprietors. Since the partnership was formed, the Doctor has resided in New York, where he keep* a store, and attends to the business that accumulates at that point. The manufacturing in this city, and is conducted by the junior partner, Mr. Clapp—here all the medicine is manufactured. Few of our citizens have any idea of the amount of this medicine that is manufactured and sold. Besides the sales in this country, it is shipped to the Canadas, West India Inland's, South America, and even to Europe, in considerable quantities. At the manufacturing plant employ a steam engine, besides a large number of men, women and children. in the preparation of the medicine, making boxes, printing, &c, and turn out, ready for shipment, over 400 dozen per day,or nearly 5000 bottles. This is an enormous quantity. The treat sale the medicine has acquired, has induced a number of men to get up imitations, and there is at the present time, other medicines for sale, that are caller! " Dr. Townsend'* Sarsaparilla." One in particular started a short time ago in New York, is called "Old Dr. Jacob Townsend's Sarsaparilla,'' and apparently with a view, by dint of advertising, and the usual agencies resorted to in such efforts, to appropriate title name of Dr. S P. Townsend's great remedy, and thus gain all the advantages resulting from the popularity of the name, which be has acquired for it by years of patient and expensive labors. Dr. S. P. Townsend, formerly of this city, a* is well known here, is the inventor and original proprietor of the medicine known as " Dr. Townsend's Sarsaparilla," and we think those persons who arc attempting to yell their article us the original, should be exposed. FROM THE NEW YORK DAILY SUN. Dr. Townsend's extraordinary advertisement, which occupies an entire page of the Sun. will not escape notice. Dr. S. P. Townsend, who is the original proprietor of Dr. Townsend's Sarsaparilla, and whose office is next door to ours, where he has been for several years, is driving an immense business. lie receives no less than four hundred dozen of Sarsaparilla per day and even this enormous quantity does not supply the demand. No medicine ever gained so great a popularity as his preparation of Sarsaparilla. His edition of Almanack* for 1849 cost $-22,000, an.l he has paid the New York Sun for advertising, in the last four years, over $10,000, and he acknowledges that it is the cheapest advertising he has had done. This medicine is exported to the Canada, West Indies, South America and Europe in considerable quantities, and is coining into general use in those countries, as well as here. anter, and warranted superior to any sold. ?It cures diseases without Vomiting, Purging, Sickening or debilitating the patient. The great beauty and superiority of this Sarsaparilla over all other medicine, is that while it eradicates the disease, it invigorates the body. 1t is one of the very best spring and summer medicines ever known; it not only purifies the whole system and strengthens the person, but it creates new, pure and rich blood; a power possessed by no other medicine. And in this lies the grand secret of its wonderful success. It has performed within the last two years, more than 50,000 cures of severe cases, of disease; at least 9,000 were considered incurable. It has saved the lives of more than 5,000 children the past season, in the city of New York alone. More than 3,000 cases of chronic rheumatism; 2,000 cases of dyspepsia; 4000 cases of general debility and want of energy; 7,000 cases of the different female complaints: 2,01)0 cases of scrofula; 1,500, of liver complaint; 2,500 cases of diseases of the kidneys and dropsy; 2,000 cases of gravel; 1,000 cases of the yellow jaundice; 1,500 cases of the dropsy; 8,000 cases of consumption ; and thousands of cases of diseases of the blood, viz: Ulcers, Erysipelas, Salt, Rheum, Pimples on the i'ace, Scald head, Tetters, Neuralgia, &c. &c., together with numerous cases of Sick headache, Pain, in the side and chest, Spinal affections, &c., &c.
This is the most successful medicine known in diseases of the kidneys, and dropsy, and all effections of the Urinary Organs. Several thousand cases have been reported as cured when all other remedies have failed. Hundreds of cases of Fits and Nervous Diseases originating in debility, have been entirely cured, and thousands of cases of Dysentery, Diarrhoea and Summer complaint . THE FIRST MEN IN THE NATION. We insert below the certificates of L. L. Van Kleeck, Esq., formerly sheriff of Albany City and County, and late of the War department at Washington, and W. W. Van Zandt, of the Bank Department, of Albany; is any man so base to believe that such men as these would lend their names to support a worthless article, or would send forth a frivolous statement to deceive the public. DYSPEPSIA. No fluid or medicine has ever been discovered which so nearly resembles the gastric juice or saliva, in decomposing food, and strengthening the organs of digestion, as this preparation of Sarsaparilla. It positively cures every case of Dyspepsia, however severe, or Chronic. If any doubt this assertion, wo can furnish the testimoney of some of the most respectable gentlemen in the United States, who have been perfectly cured. Mr. Van Kleeck was formerly Sheriff and Clerk of Albany City and county, and recently in the War Department at Washington. Bank Department, Albany, May 10, 1845. Dr. Townsend: Sir?I have been afflicted for several vears with the Dyspepsia in its worst forms, attended with soreness of stomach, loss of appetite, extreme heartburn, and a great aversion of all kinds of food, and for weeks (what I could eat) I have been unable lo retain but a small portion on my stomack. I tried the usual remedies, but they had but little or no effect in removing the complaint. 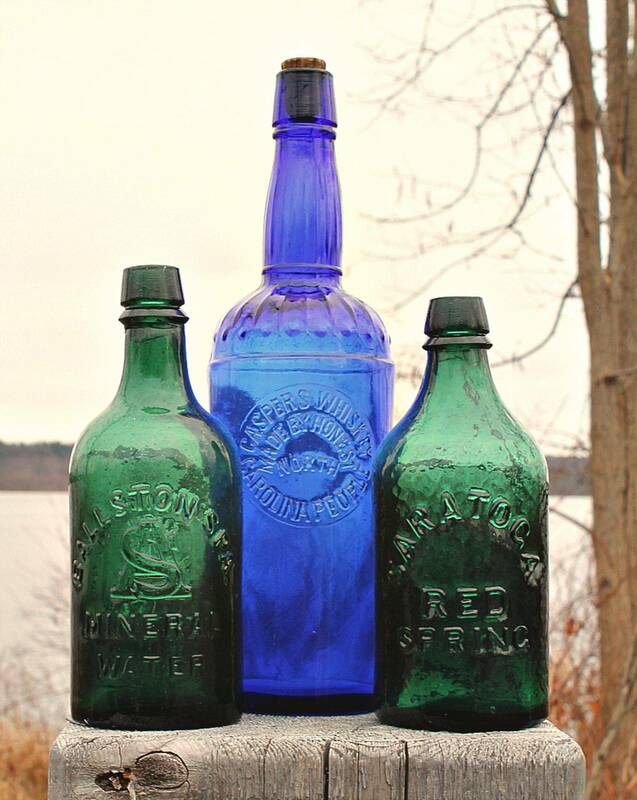 I was induced about two months since to try your Extract of Sarsaparilla, and I must say with little confidence; but after using nearly two bottles, I found my appetite restored, and the heartburn entirely removed: and I would earnestly recommend the use of it to those who have been afflicted as I have been. Yours, &c., W. W. VAN ZANDT. 8,000 CASES OF MERCURIAL SORES. There are -nany thousands of cases which are supposed to be Secondary Syphilis, and are, in fact, only the terrible effects of using mercury to excess?making the unfortunate individuals bankrupt iu character and domestic happiness, as well as suffering from loathsome and mercurial sores. Dr. Townsend's Sarsaparilla will certainly cure the worst cases of ulceration, of whatever description, and speedily eradicates Mercury from the system. Nor is it of less benefit in cases of HEREDITARY TAINT. Thousands are cursed with grievous and fatal complaints, which they inherit from their progenitors. By using this Sarsaparilla, all this can be prevented, and an innumerable number of lives annually saved. It thoroughly expels from the system the latent taint, which is the seed of disease, and so takes off the curse by which the sins or misfortunes of parents are so often visited npon innocent and unoffending offspring. 10,000 CHILDREN SAVED. Dr. Townsend's Sarsaparilla has undoubtedly saved the lives of more than 10,000 children the past three or four years. The two pastseasons have been very fatal, especially in the City of New York to children. Tfet scarcely a family that took the precaution to let their children take this Sarsaparilla in season, lost a child, as it cleansed and prepared them for the hot weather, by bracing the system. Letevery family use it before the hot weather and sickly season seta in, they will then save the lives of their children. For the croup, tetter, teething, looseness in the bowels and summer complaint, it has no equal. 10,000 CASES OF GENERAL DEBILITY AND WANT OF NERVOUS ENERGY. as it renews and invigorates the system, gives activity to the limbs and strength to the muscuar system, in a most extraordinary degree. 7,000 CASES OF FEMALE COMPLAINTS. This is without dispute, the best medicine for the various and peculiar complaints, ever offered to the public. It is never injurious and always beneficial, especially to nervous, debilitated and delicate females. It quickens the circulation of the blood, infuses it in the extremities, and creates new blood and life in the most feeble and prostrated. No femal* in delicate health, old or young, or middle aged, should neglect to take it. Cosmetics, chalk, and a variety of preparations generally in use, when applied to the face, very soon spoil it of its beauty. They close the pores of the skin, and check the circulation, which when nature is not thwarted by disease or powder, or the skin inflamed by the alkalies used in soaps, beautifies its own production in the "human face divine," as in the garden of rich and delicately tinted and variegated flowers. A free, active and healthy circulation of the fluids, or the coursing of the pure rich blood to the extremeties, is that which paints the countenance in the most exquisite beauty. It is that which imparts the indescrible shades and flashes of loveliness that all admire, but none can describe. This beauty is the offspring of nature?not of powder or soup. If there is not a free and healthy circulation there is no beauty. If the lady is fair as driven snow, if she paint and use cosmetics, and the blood is thick, cold and impure, she is not beautiful. If she be brown or yellow, and there is pure and active blood, it gives a rich bloom to the cheeks, and a tfrilliancy to their eyes that is fascinating. This is why the southern and especially the Spanish ladies are so much admired. Ladies in the north who take but little exercise, or are confined in close rooms, or have spoiled their complexion by the application of deleterious mixtures, if they wish to regain elasticity of step, buoyant spirits, sparkling eyes and beautiful complexions, they should use Dr. Townsend's Sarsaparilla. Thousands who have tried it, are more than satisfied, are delighted. Ladies of every station crowd our office daily. N. Y., 105 SOUTH PEARL-STREET, ALBANY: And for sale by all the principal Druggists and Merchants generally throughout the United States, West Indies and Canadas. Experience is the basis of all real knowledge. To see and to feel is to know, and that which is seen and known must not be contradicted. When Galileo announced the discovery of new planets, the Aristotelians said, "This is impossible." Galileo replied, " Look ^through my telescope and behold." The philosophers rejoined, " We will not look lest we should see them." There are a few people now-a-days so silly that they will not look at facts lest some prejudice should be disturbed. These persons are, however, not numerous, and their stupidity injures no one but themselves. The character of Dr. S. P. Townsend's Compound Extract of Sarsaparilla rests upon universal experience alone. Without this solid foundation, it never could have attained the wide spread popularity which it at present enjoys. 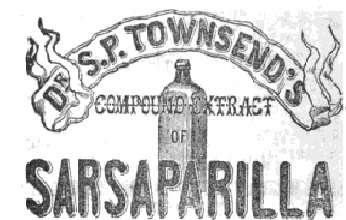 The remarkable sanative powers ol Dr. S. P. Townsend's Sarsaparilla, have induced numerous attempts to counterfeit it, and make fraudulent use of Dr. Townsend's name to secure the sale of spurious articles. These counterfeits and imitations only prove the value of the original; and no higher compliment could be paid to Dr. S. P. Townsend's Extract of Sarsaparilla than the laborious efforts that have been made by many to get up something like it. 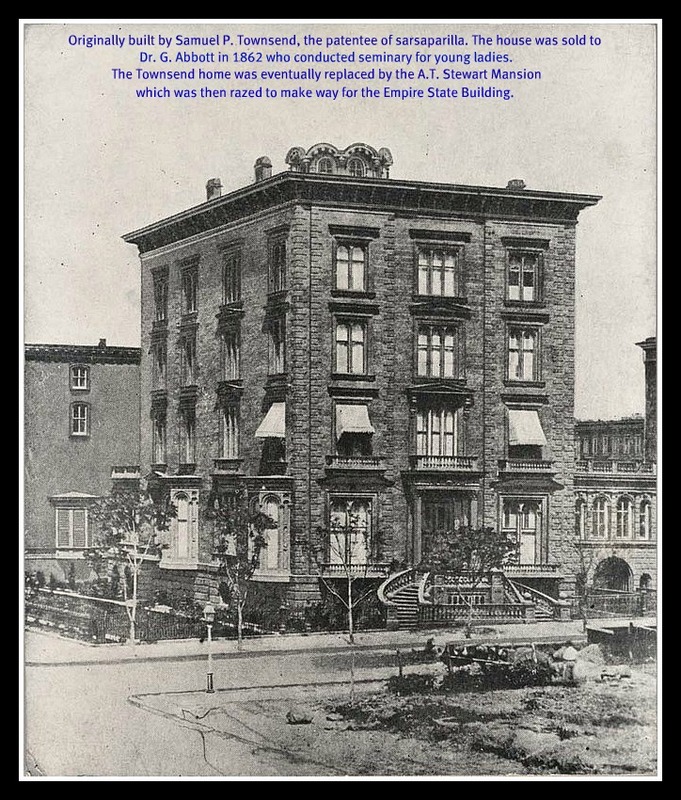 As to the dishonest attempts that have been made so to use Dr. Townsend's name as to create confusion in the public mind in reference to the genuine article, we publish below a card of all the principal wholesale Druggists in New York. We, the undersigned, Wholesale Druggists in the city of New York, have sold Dr. S. P. Townsend's Extract of Sarsaparilla for several years, and consider it the original and genuine Dr. Townsend's Sarsaparilla, and that it was the first introduced to public notoriety under that name. Boyd& Paul, 40 Courtland st.; Walter B. Townsend & Co., 218 Pearl st.; Leeds & Hazard, 121 Maiden Lane , John Carle & Co., 153 Water st.; M. Ward & Co., 83 Maiden Lane; J. & J. F. Trippe, 92 Maiden Lane ; Graham & Co., 10 Old Slip; Osgood & Jennings, 188 Pearl st.; R. B. Haviland & Co., Office, 177 Broadway; Jackson, Robins, & Co., 134 Water st.; Thomas & Maxwell, 86 William st.; William Underhill, Jr., 183 Water st.; David T. Lanman, 69 Water st.; Marsh & Northrop, 69 Pearl St.; Norton, Babcock & Wood, 139 Maiden Lane ; Penfold, Clay & Co., 4 Fletcher st.; Olcott, McKesson & Co., 127 Maiden Lane ; A. B. & D. Sands, 100 Fulton st.; Schieffelin, Brother & Co., 104 and 106 John at., Lewis & Price, 55 Pearl St.; Haviland, Keese & Co., 80 Maiden Lane ; Rushton, Clark & Co., 110 Broadway, 10 Astor House, and 273 Broadway, corner Chamber st.; Philip Scheffelin & Co., 107 Water st.; Pou & Palanca, 96 John st.; Sherwood & Coffin, 64 Pearl st.; Rust & Houghton, 83 John st.; I. Minor & Co., 214 Fulton st.; Ingersoll & Brother, 230 Pearl st.; Joseph E. Trippe, 128 Maiden Lane; Greenleaf &. Kingslv, 45 Courtland st.; Haydock, Corlies & Clay, 218 Pearl st.; Camming and Van Duzer, 178 Greenwich st.; HasKell & Merrick, 10 Gold st.; B. A. Fahnestock <& Co., 49 John st., Proprietors of " Fahnestocks Vermifuge." The public are hereby notified that the preparation extensively known as Dr. S. P. Townsend's Compound Extract of Sarsaparilla, is now manufactured under my direction and supervision, from the original recipe obtained from Dr. S. P. Townsend ; and I hereby certify that it is composed of ingredients purely vegetable, and without mercury, and also that the ingredients are judiciously compounded, so as to obtain from them their greatest medicinal effect. JAMES R. CHILTON, M. D„ Chemist. Dr. Chilton's name is surety that the elements of this extract are combined in the most correct and scientific manner, and that it is adapted to the wants of the invalid with the highest professional ability. This, we hope, will be sufficient to guarantee to the public, and to those purchasing Dr. S. P. Townsend's Compound Extract of Sarsaparilla. Such may have no fear of getting one of the spurious and baneful mixtures which fill the channels of trade, and are concocted without any knowledge either of the nature of remedial agents, or the wants of the human system when laboring under disease. Dr. S. P. Townsend's Sarsaparilla is warranted to keep for any length of time in all climates. 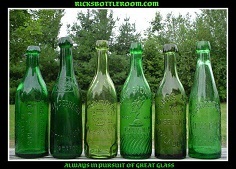 To avoid imposition, it will be necessary to see that Dr. James R. Chilton's Certificate, as well as the signature of Dr. S. P. Townsend, is on the outside wrapper of each bottle. Sold by all the Principal Druggists and Country Merchants throughout the United States, Canadas, Ac. PROPRIETOR'S OFFICE, 82 NASSAU STREET, In the building formerly occupied by the South Baptist Church, New York.